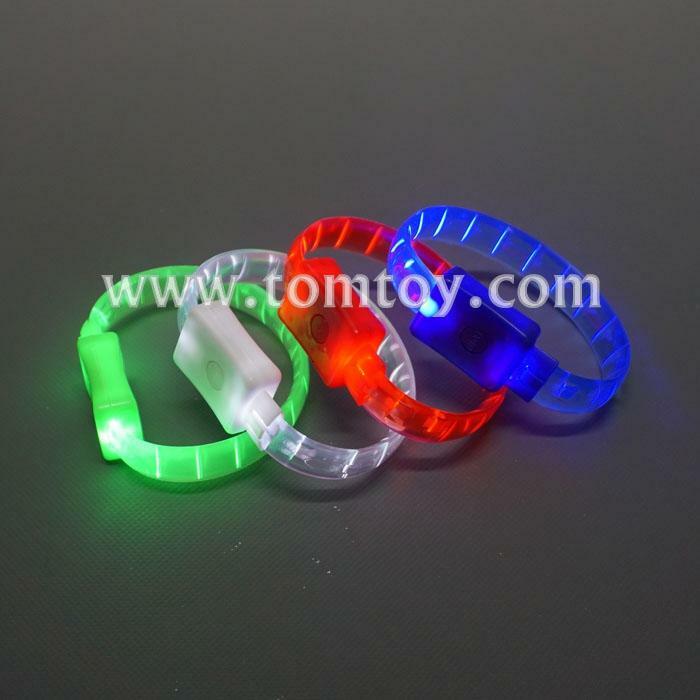 1.Chunky plastic wristband with 2pcs white LEDs. 3.These bracelets have 4 functions:fast flashing,slow flashing,steady,off. 4.Available in red, blue, gree and transparent colors. 5.Batteries: 2pcs LR927. Replaceable, included and installed.